Carpenter & Associates, Inc. (C&A) was founded in Austin, Texas in 1971 by Charles B. Carpenter who continues to mentor the 2nd and 3rd generations of family leadership. For over 46 years, C&A's extraordinary accomplishments have resulted from combining our "create your own market" business approach with investigative market research, financial analysis and regulatory/political risk assessment. C&A seeks "win-win" collaboration and partnership with the local communities in which we invest and build; often leading with privately planned, funded, developed, and operated public-use infrastructures. Carpenter & Associates' legacy projects range from: regional shopping malls in the Texas Rio Grande Valley and south Texas; regional master-planning with mixed-use developments and infrastructures to revitalize impoverished communities in central Texas; to the "Austin Gateway" project. Carpenter & Associates assembled a 5½ block area on either side of Congress Avenue and along Austin's Lady Bird (Town) Lake. These blocks were the "Gateway" to downtown on 1st Street and Congress at its juncture with Town Lake and the Congress Avenue Bridge. C&A led the assemblage and redevelopment of this historic foundation of the 12-block Congress Avenue leading to the Texas State Capitol. Partnering with Vantage Companies and Travelers Insurance, C&A developed the premier 111 Congress Tower. C&A recruited two other highly-respected Dallas based development companies; Lincoln Properties and John Carpenter III, (Las Colinas) to respectively develop the 100 Congress Building and San Jacinto Building/Four Season Hotel. This massive-scale $500+m redevelopment replaced an assortment of liquor stores, bars, taco stand, tire stores, gas station and relocated the Salvation Army Center and famed Matt's El Rancho restaurant. 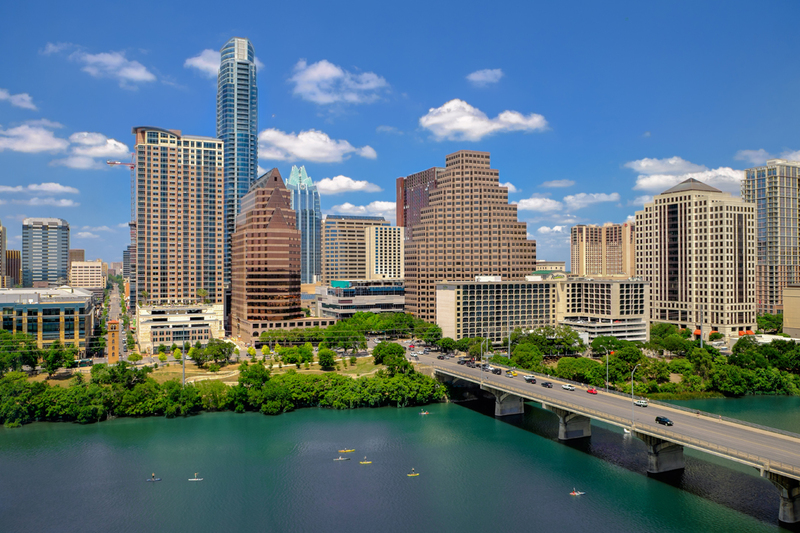 The transformation revitalized the downtown Austin economy and introduced new standards that remain unmatched today for urban landscaping, waterscapes and environmental compatibility in the urban environment.